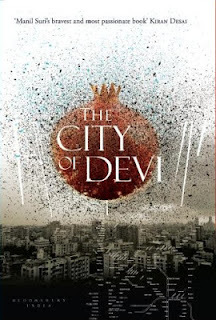 INTRO: Manil Suri’s third novel The City of Devi is set in a Mumbai ridden with religious hatred and threatened by nuclear obliteration. Against this backdrop, the book’s two narrators, a woman named Sarita and a gay man named Jaz, separately journey northwards in search of Karun, a special figure from their past. 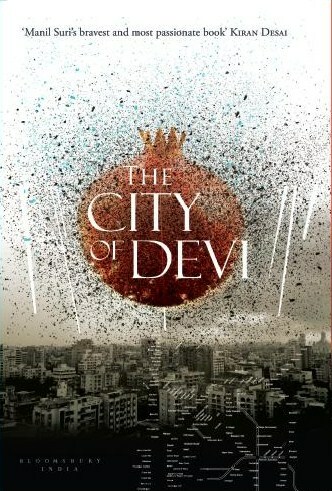 Coming after The Death of Vishnu and The Age of Shiva, this book completes a trilogy of novels that are named for the three major Hindu Gods. However, instead of following Vishnu and Shiva with Brahma, you have concluded with Devi. Why? I’ve stopped calling it a trilogy now, because that might give the impression that the books have the same characters – it’s more like a triptych. In terms of how many people actually worship these Gods today, Devi is more significant than Brahma; also, she has attributes of both Vishnu and Shiva and that made it interesting to bring them together. And of course, there is a strong link between the city of Mumbai and the Mother Goddess figure Mumba. But this is just one motif in the book. I’m more interested in the idea that the number three is the magic number of the universe: apart from the many trinities across religions, in scientific terms there are three generations of fundamental particles, quarks, that make up everything. The number plays an important part in this narrative. You’ve done something you never attempted before in your fiction – a speculative, dystopian story about impending holocaust. How did this come about? The original plan was to write a love story around the idea “When all else is gone, what will you search for?” Initially I thought of constructing the plot in terms of a huge natural disaster, but then I began looking at politics. In 2002 there was much sabre-rattling between India and Pakistan, but then the US stepped in and helped diffuse the tension. I wondered: what might happen in this region if a similar situation arose but the West was distracted by its own conflicts. That became the starting point. There are intriguing links made here between ancient prejudices – the sorts of things that make people kill each other in the name of religion – and the tools of modernity. In your view, has technology brought us closer to the scenario depicted here? Yes and no. Today cyber-attacks can inflict great harm remotely – we don’t need a physical presence in order to unleash bad things. But I’m always hopeful that people can come back from the brink. Technology can also help responsible governments to put safeguards in place – though the flip side of that argument, I suppose, is that those safeguards often trample on people’s rights. It’s hard to say. You also have a back-story about a blockbuster film called Super Devi, which fuels religious tension. 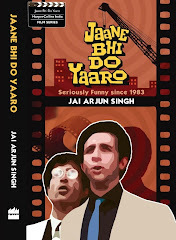 Is this a cautionary tale about the power of Hindi cinema to stoke emotions? More than mainstream Bollywood, an inspiration for me was the very popular Ramayana TV serial of the late 80s, and how that played a subtle role in stoking religious chauvinism and perhaps even precipitating the events that led to the Babri Masjid demolition in 1992. But the power of films is undeniable: think of what has recently been happening with the Innocence of Muslims film trailer that led to violence all over the world. Was the dual-narrative structure a special challenge as a writer? Jaz’s voice is much more irreverent and “jazzy” than Sarita’s is. Also, there are present and past events in each of their narratives. Jaz was a different character originally, not funny at all – I threw that away and started over. More than creating two voices, it was hard to keep the past and the present-day narratives in track, to make sure the tension was maintained. Also, towards the end of the book the “cuts” between Sarita’s narrative and Jaz’s narrative get much quicker as their stories converge, and the challenge there was to plot the action in such a way that one character can logically pick up where the other character left off; I didn’t want to find myself in a situation where Sarita, for instance, is describing an event she isn’t privy to. I was also unsure whether to have an actual Devi figure in the book, but then I decided to do it in such a way that it would be completely unexpected for the reader. The idea was the same as in my first novel The Death of Vishnu, where the “Vishnu” figure is someone drawn from the bottom rung of society. That was challenging to pull off too. In an interview we did a few years ago you mentioned that you had written 150 pages of your next book and thrown away 100 pages of them. What changes did this novel see over the course of its writing? My agent told me that what I had originally written – with Jaz’s story set in the US, Sarita’s in Mumbai – read like two different novellas, so I changed the focus. You have to be prepared to do that as a writer. I saw it as a way of making offerings to a goddess of writing: here, take this and give me something good in return! But it can be wrenching to work for a year and have nothing to show for it, which is why I’m glad I never quit my day-job as a math professor. It makes a big difference to have something else occupying your mind. Now that the trilogy – or triptych – is over, what next? I’m working on two things. One is a novel with real mathematics in it, which I’m thinking of as an enhanced E-book, with videos. Given the rate at which I do things, it will probably take five years to be finished, and who knows if physical books will even be around by then. Also I’m working on a plot for a last novel connected to these three books: I might call the whole thing The Trinity Quartet! How do you account for the fact that you see Manil Suri as a good writer, and another critic doesn't? He says that the prose is "wooden". Do you think this lack of solidarity stems from the fact that those specifically studied literature tend to be more critical and pedantic than those who work in the literary beat? OK , its good to know Manil Suri too is not a big fan of the word "trilogy" . I never understood why that word was used in the context of his novels. They are all so different from each other and this one in particular , I don't know , despite all my excitement (his first two novels are big favorites of mine ) , I am a little apprehensive of what he has set out to do here. I can only hope he succeeds grandly. But that said , this is the first time , he has a "gay" character and I think how that goes would be interesting to see . Cant wait to read this one . Pratik: there can be a hundred reasons for a book working for one person and not so much for someone else. No point analysing it too much. But it's true that those who have studied literature formally can have some advantages - and some disadvantages - over those who haven't. That said, please note that I have not expressed my personal opinion of the new book in this post. I understand of the advantages that people who have studied literature have. What possible disadvantages could such an education bring? Can't help but agree with this. Nothing against Ramanand Sagar or BR Chopra. But those serials must've fueled Hindu nationalist sentiments to a significant extent. I've been reliving my childhood lately by watching Mahabharat episodes on youtube. It is a well made serial with fine casting. But the fact is that people interpret a Vedic age epic too literally, given the religious connotations. And it can hurt the moral fabric of the viewers. Eg: The scenes of Bhima drinking Dushasana's blood being celebrated as if it is a victory of righteousness. The youtube comments suggest how viewers manage to view such grisly uncivilized stuff without developing a different moral angle on the same. I am not very clear about the advantages! Criticism is not a science with general principles that can be taught in a classroom. Ofcourse a lot of literature students can be fine critics, but I wonder if the literary education has anything to do with it. I think it does help if you're an outsider critic with no formal schooling in the medium on which you comment. Take for instance one of the finest film critics - Manny Farber. A painter and carpenter with no "formal" education or experience in movies. Perhaps this helped him develop his iconoclastic style.